Your Honda dealer will provide a complimentary Vehicle History Report to help ensure that your vehicle does not have any DMV-reported incidents, such as salvage, flood damage, odometer problems and lemon history. The Honda Certified Pre-Owned Vehicle Limited Warranty extends the powertrain coverage to 7 years*/100,000 total odometer miles (whichever occurs first). Items covered: Engine, Drive System, Transmission. The Honda Certified Pre-Owned Vehicle Limited Warranty extends the non-powertrain coverage by 1 year/12,000 miles to 4 years/48,000 miles (whichever occurs first). Items covered: Safety Restraint System, Brakes, Steering, Suspension, Electrical, Air Conditioning, Heating and Cooling, Fuel System, Doors & Switches, Audio/Video & Navigational Device Repairs (Honda audio systems only), Fluids/Oils, Sensors. The Honda Certified Pre-Owned Vehicle Limited Warranty provides non-powertrain coverage for 1 year/12,000 miles (whichever occurs first), starting from the date of Certified Pre-Owned Vehicle delivery to the buyer. 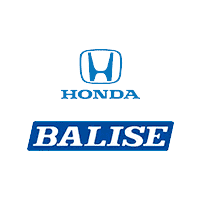 Items covered: Safety Restraint System, Brakes, Steering, Suspension, Electrical, Air Conditioning, Heating and Cooling, Fuel System, Doors & Switches, Audio/Video & Navigational Device Repairs (Honda audio systems only), Fluids/Oils, Sensors. Program information current as of 7/22/2014. For most up-to-date information, visit http://automobiles.honda.com/certified-used/.